Mitsubishi Motors’ Mirage is back and it’s better than ever! 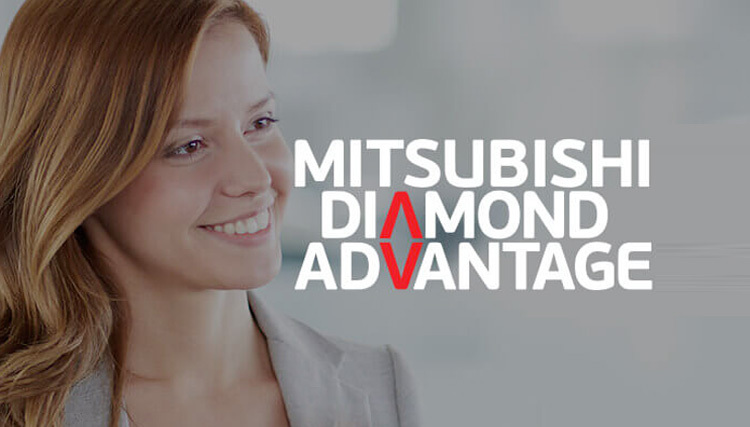 Mitsubishi Motors Australia Limited’s (MMAL) Mirage is back, better than ever with an all-new design. Boasting outstanding fuel efficiency, a spacious interior for five people and easy-todrive manoeuvrability, the new Mirage offers nimble performance wrapped up in a stylish and affordable package. Due to be released in Australia in January 2013, MMAL’s all-new Mirage delivers exceptional environmental and drive performance combined with a fun, sporty design. MMAL’s CEO Mutsuhiro Oshikiri said MMAL is looking forward to introducing the Mirage to the Australian market. “The Mirage is great value for money, offering lively performance and a brand new stylish design which we are confident will appeal to customers,” Oshikiri said. of the lightest in class. Combined with a highly aerodynamic body style, the Mirage achieves best in class fuel economy of 4.6L/100kms (ES model) with the LS model returning 4.8L/100kms with manual transmission and 4.9L/100kms in the CVT. The Mirage achieves best in class CO2 emissions of 109g/km in the ES with the LS 5MT not far behind with 113g/km and 115g/km in the LS CVT. The Mirage’s spacious interior provides seating for up to five people in comfort. Through using highefficiency packaging, which keeps the engine compartment as small as possible, occupant space is maximised. The flat dashboard with accent line which traces across the entire length of the dash provides a sense of width to the cockpit. The clean styling of the dash top promotes feelings of space while the glossy piano black centre panel adds a stylish touch. The quality feel of the Mirage’s interior is boosted in the LS model through the addition of silver accents on the shifter panel, gear knob and air-conditioning vents along with the inclusion of chrome door handles. Two interior fabric trims are available in the Mirage. The ES model features a plain knit black seat fabric embossed with a polka-dot pattern to express a sense of movement. The LS model uses a soft, waffle-weave seat fabric in black and purple to impart a sense of fun with a touch of sophistication. Black and ivory two-tone dash and door trims in both models, bring lightness and a sense of space to the Mirage interior. The contoured front seats provide a comfortable ride while the rear bench seat with flat cushion ensures all rear occupants, including the middle passenger, enjoy a comfortable drive. The flat rear seating also helps maximise the space to fit more than one child seat with ease. The Mirage offers plenty of small item storage areas, including a front passenger glove box, dashboard tray above the glove box, centre console tray, front door pockets with bottle holder, front and rear seat drink holders and front passenger seat back pocket. Luggage space can be increased by folding down the 60/40 split rear seat. wipers and Keyless Operating System with one-touch start to make the daily drive a little easier. Driver and passenger comfort is boosted with climate-control air-conditioning while the audio system receives two additional speakers. opening and crafting the front bumper undersurface to act as an air dam at its corners. The Mirage provides excellent forward and side visibility due to the low-set belt line and location of Apillars closer to front occupants. The gently curving roof line provides ample headroom for rear seat passengers while air resistance is reduced through the use of a roof spoiler on the LS model. Airflow separation from front to rear has been improved through using a gently tapered cabin roof line which shapes into a trailing edge and the use of prominent edges at the corners of the broad and substantial rear bumper. Adding front fog lamps, roof spoiler, door sash blackout and 15-inch alloy wheels gives the Mirage LS a sporty edge, boosting its street presence. The Mirage Sport is based on the Mirage ES with additional features to enhance the Mirage’s cleanlines. The Mirage Sport receives 14-inch alloy wheels, roof spoiler, four speakers and door sash blackout. Available in a selection of six richly-hued colours, the Mirage’s sporty lines dazzle in Mulberry, Cyber Blue (LS only), Red Planet and Midnight Black (LS only) while Cool Silver and White add a touch of understated style. Engine Powered by a 1.2-litre all-new Smart MIVEC engine, the Mirage ES has best in class fuel efficiency returning 4.6L/100km. Not far behind the is the LS 5MT with 4.8L/100km and 4.9L/100km in the LS CVT. This results in low CO2 emissions of 109g/km in the ES and 113g/km in the LS manual and 115g/km in the LS CVT. It is expected the Mirage will achieve a five-star rating in the Federal Department of Infrastructure and Transport’s 2012 Green Vehicle Guide thanks to its low CO 2 emissions and fuel efficiency. The 1.2-litre, three cylinder engine utilises Mitsubishi Motors’ MIVEC variable valve timing system that optimally matches intake valve timing to engine speed and load. The air intake and exhaust systems, fuel system, cooling system and other ancillary systems have had extensive weight reduction while friction losses and loads in all moving parts have been reduced. The engine produces maximum output of 57kW at 6000rpm and generates maximum torque of 100Nm at 4000rpm. Combined with a comparatively low weight, Mirage achieves effortless acceleration from a complete stop and when overtaking providing nimble and confident performance. The Mirage’s Smart MIVEC engine is mated to a five-speed manual or Continuously Variable Transmission, with both options providing peppy performance and easy-to-drive manoeuvrability. Safety Mirage is equipped with a range of safety systems as standard including six SRS airbags; driver and front passenger, side and curtain. ABS with Electronic Brakeforce Distribution makes driving on slippery surfaces safer by activating brakes to individual wheels when required to deliver superior control and evenly distributing brake pressure across the front and rear wheels accordingly. Active Stability Control works to maintain stability and prevent loss of control while cornering to keep the Mirage online through corners. For child seat installation there are three tether anchors and two Iso-Fix rear seat child restraints fitted. The Mirage uses Mitsubishi’s RISE safety body design to provide an impact-absorbing front end with high-rigidity cabin structure. The extensive use of high-tensile steel panelling reduces the body weight of the Mirage helping contribute to better fuel economy and performance. The structural design provides impact energy-absorbing spaces under the engine hood and the fenders as well as energyabsorbing cowl top and wipers to mitigate head injury in the event of a pedestrian collision. The front bumper and headlamps also use an energy-absorbing design to minimise pedestrian leg injuries. 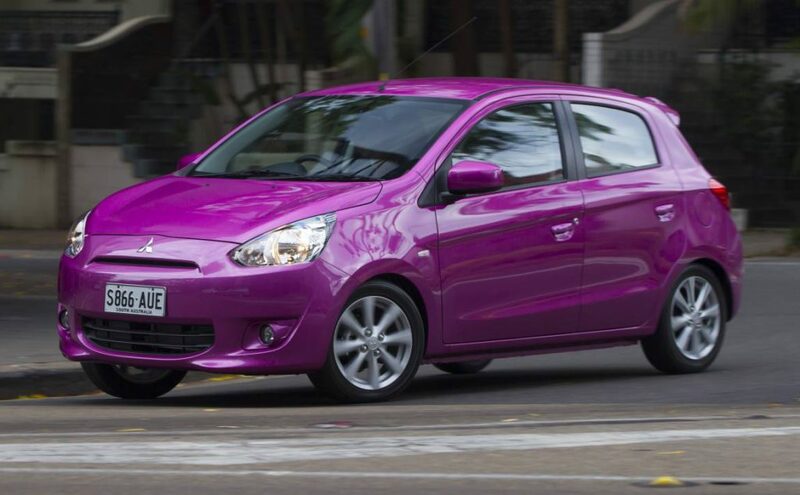 On sale January 2013, all-new Mitsubishi Mirage will be available at Toowong Mitsubishi in Brisbane from January 2013.